I don’t watch much TV, and I definitely don’t watch reality shows, but in a contradiction of all of that, I do get to see Masterchef Australia pretty regularly because of my better half’s interest in all things culinary. 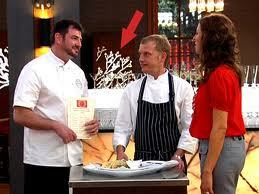 I’ve been following the 2012 edition on Star World. 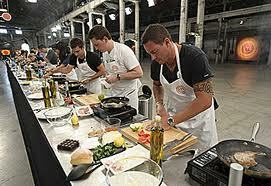 I’ve always admired the show for the warmth of the judges, the lack of obtrusive background music and melodrama. In contrast, whatever little I’ve seen of Indian reality TV, is replete with melodrama, playing to the gallery, their harsh, rude judges, and is therefore so (how do I put this mildly) unappetising. Aspirants come to the show relatively raw. While it’s a contest, what stands out about the show is not the competitive spirit of the participants but the camaraderie. At stake is a big, prestigious prize, but there’s no bitter rivalry that is visible. How do the judges, producers etc. manage to keep things so civil despite the “recipe” being ripe for acrimony? There are two lessons in there for Organisations. 1. Competition doesn’t need to be cutthroat. You can compete like crazy, but always be gracious in either victory or in defeat. And the Leadership can create a Culture that is more camaraderie & collaboration than competition. More We than me. 2. How your people are seen by the outside world, does a lot for your Brand as an organisation. This, coupled with the above point could have telling implications on the type of employees who will want to come and join you. Now, these raw aspirants are brought on after checking how good their skills are. Meaning that they are being hired for tasks that they have demonstrated the competency to deliver on. Next, they are put through cooking test after cooking test. Their skills are tested, they’re constantly challenged. What is noteworthy is what happens during this process. The judges or the experts walk around to each of the contestants briefly asking them how they’re doing. They give them gentle suggestions on what may be going wrong (or could go wrong), they give them tips and suggestions as to what they could do right. Once the dish is done, and has been tasted, the feedback from the experts is exemplary. Their demeanour and tone is friendly, gentle and encouraging. 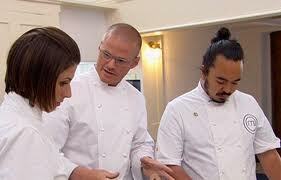 The feedback is never personal; it’s always about that particular dish/attempt. They talk about what went well with the dish. They give specific feedback on what didn’t go well. And they also say what they would have liked to see instead. And this feedback is being provided in public. And at the end of it, everyone applauds the “effort”. It isn’t “all about the result” kind of show. 3. Hire for competence or skill. Get your people trained on and using Competency Based Interviewing. 4. While your people are at work, walk around, supervise, offer suggestions, but don’t hover around. Make an attempt to offer your expertise, don’t just sit there waiting for the work to arrive at your desk. Invest some time in coaching your people, in between if not during tasks. 5. Get your Feedback Skills right. It’s the difference between a boorish workplace and an encouraging one. 6. Applaud the effort. Just because someone got it wrong, doesn’t mean he/she didn’t try hard. As long as you saw them (refer to # 4 above) try hard, praise their effort, offer feedback on what they should do going ahead, and send them on with words of encouragement. Whether you’re a top leader or a manager, make sure that you and all your managers have got all these above skills right. 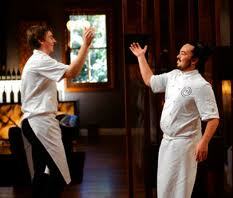 While it’s a competition, the Masterchef journey isn’t primarily viewed as that by the participants as that. They seem to look at it as a tremendous learning opportunity. Replete with tasks, feedback, Masterclasses, restaurant and market tours, foreign locales, and what not, each participant knows that he/she is learning more by the day. Let’s move to the exits. Mercifully, isn’t through audience voting! It’s through a panel of experts who judge with absolute transparency. Every time a participant exits the show, they seem to be saying the same things – How wonderful they thought this opportunity was, how thankful they are to the show & the judges for the opportunity, to have learnt so much. And many if not most of them move on to their dreams of starting restaurants or being chefs at restaurants! It really seems to be a once in a lifetime opportunity for them! 7. Organisations while they’re chasing down projects, targets, deadlines, should primarily seek to be Learning Organisations. Each day, each task, each project (because of # 4, 5 & 6 above) should be seen as an opportunity to excel, but also to learn something new, master a new skill. 8. Organise Masterclasses by Experts, for your people to learn/hone skills from these experts. The organisational equivalent of these expert Masterclasses would be Training. 9. Mix it up. Make sure that people keep learning new things. If you let monotony set in, you only have yourself to blame. Refer to Csikszentmihalyi’s work on Flow. so most unwillingly. And even when they do, they leave grateful for all that you have done for them. Do we have set-ups like that in the world of business? Yes we do. Can you become one? Yes you can. 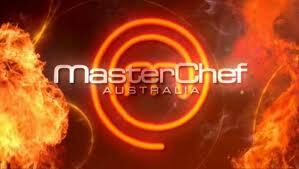 Masterchef Australia is showing you how.